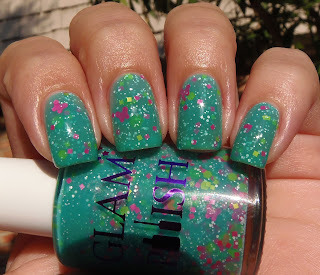 If you like neon, I highly recommend Glam Polish. I think it is safe to say that this is a brand that caters to neon lovers, they have so many good options and colors in the neon range, with either the glitters or the base color being loud. 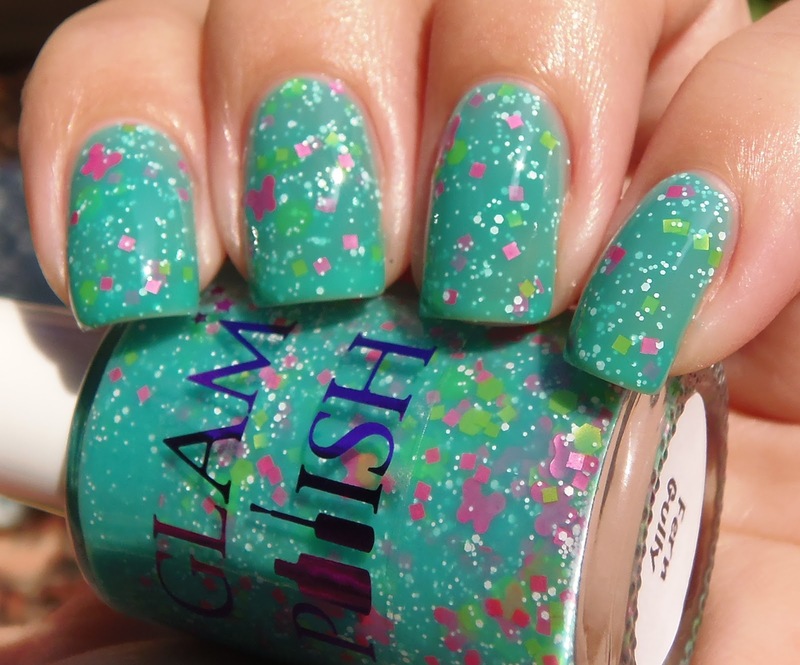 It's an Aussie brand that is currently carried at Color4nails and Llarowe. I fell in love with their Star Candy a while back, and now I'm craving more glitters like it. This was a jellyesque jade green that looked very flattering against my skin tone. 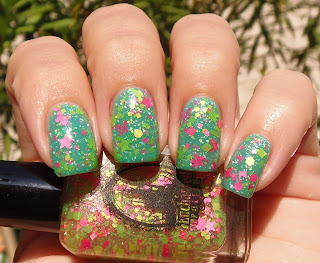 A very simple glitter combination, with only white, pink and green, but it worked really well. I love the butterflies, and there was no fishing required to get them onto my nails. Oh Wow...I'm loving Fern Gully!! I have Bee-Do! & Fairy Princess Gru! 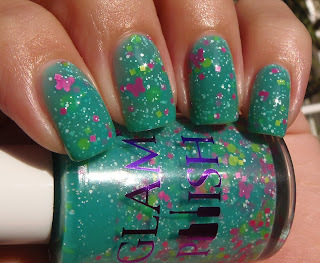 from Glam Polish & love both of them! The glitter pay off is fantastic. I hate fishing for glitters & w/ these you don't have to. This is gorgeous! I've been interested in Glam Polish for a while, so I'm happy that they're on Llarowe now. Star 69 is PERFECT on Fern Gully!!!! The combo wizard does it again!